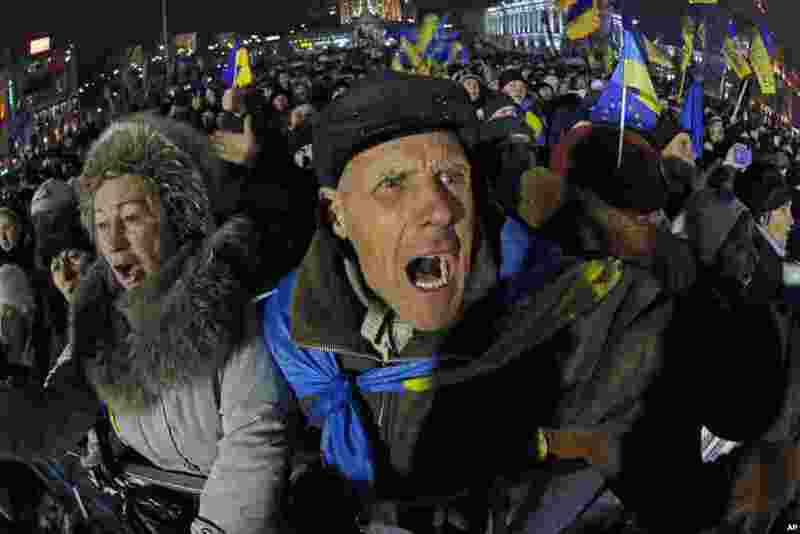 1 Pro-European Union activists shout as they listen to Ukranian opposition leader Oleh Tyahnybok, during a rally in the Independence Square in Kyiv, Ukraine, Dec. 13, 2013. 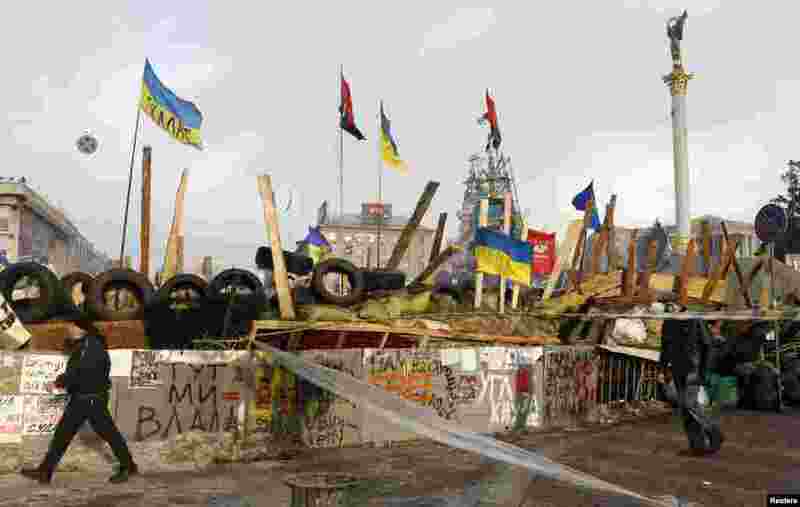 2 People pass by a barricade erected by pro-European integration protesters in central Kyiv, Dec. 13, 2013. 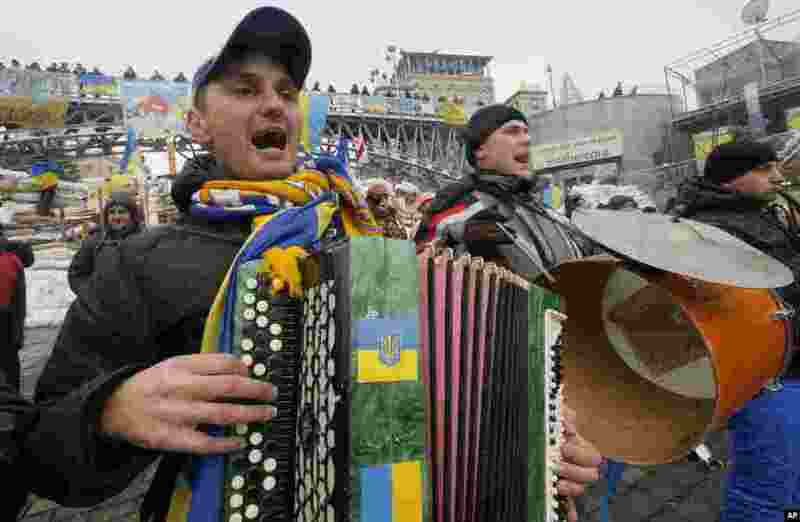 3 Pro-European Union musicians perform in Independence Square in Kyiv, Ukraine, Dec. 13, 2013. 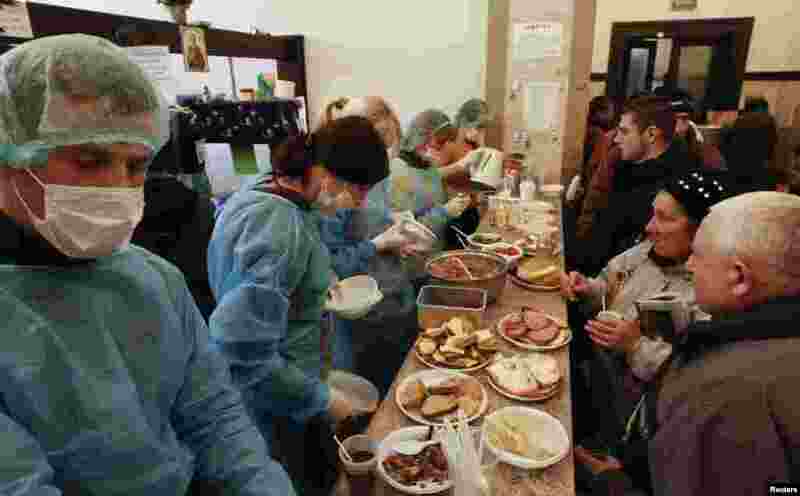 4 People pick up food inside the Kyiv City Council building which is occupied by pro-European integration protesters, Dec. 13, 2013.